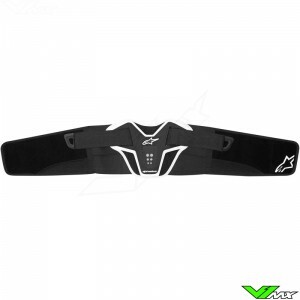 V1mx has a wide range of kidney belts designed for motocross and enduro riders. How does a Kidney Belt help? The reason why many people wear a kidney belt when riding a dirt bike is because of the support for your back and protection of the kidney. When you’re riding on rough surfaces it can cause the kidney to move which can lead to a lot of pain. 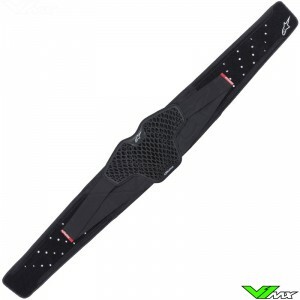 These motocross belts prevent the kidney from moving and therefore provide a more pleasant en comfortable ride. The kidney belts can also help riders who are experiencing back pain during and after motocross riding. The motocross kidney belts causes the lower back to be held tightly together, this gives good support which can prevent back pain. Kidney belts generally have a universal size, but there are different kidney belts for children en adults. Kidney belts are available at V1MX from well-known brands such as Alpinestars and UFO Plast. Kidney belts are also integrated in some protective jackets. These jackets are made up of different protective components which are held together by mesh material. Are you looking for other protection? V1MX also has a wide range of clothing and protection such as: gear kit combos and neck braces.